Established in 2004, Flora Export S.G. Israel LTD is providing full range of agricultural export services worldwide. Shipping by air freight directly from leading Israeli growers, allows us to supply clients with fresh agricultural products of top quality and freshness with all season availability. We supply wide range of fresh flowers, fresh cut foliage, fresh herbs, vegetables, fruits, berries and other agricultural produce in small, medium or large wholesale quantities with direct delivery to international destinations worldwide. Our products quality is assured by PPIS (Plant Protection and Inspection services of Israel) - the government body, responsible for phytosanitary examination of every shipment of all agricultural produce exported from Israel. 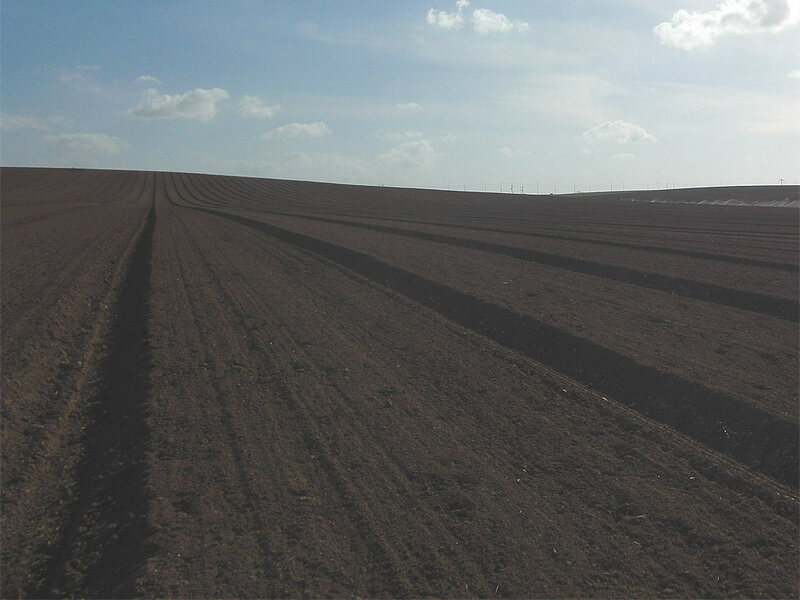 Every day we are providing clients with excellent agricultural products directly from Israeli growers. We will be glad to offer your company beneficial long-term partnership and see you among our clients. Listed below are key points and strategic advantages of our company operations. Israel is famous for its product quality, advanced, time-proven agricultural technologies, extensive selection and research experience. Successful long-time partnership with famous Israeli flower, foliage, fresh herb, vegetable, fruit, berry growers always allows Flora Export S.G. Israel LTD. to offer clients quality for affordable prices. Our produce comes from genuine growers well-known around the world. No questionable sources, NO "palestinian produce" - you and your clients shouldn't worry about the source of our products. It is always fresh and reliable. It usually takes only few days from the point your order is picked by grower, until shipment is received at destination airport. All products are preserved in optimal temperature conditions during storage, processing and transportation. Flora Export S.G. Israel LTD is a reliable exporter since 2004. Our company supervises your order processing from point of receiving produce from growers, until shipment is delivered to customer's destination. During all stages, we work with of professionals, specializing in achieving and preserving agricultural products quality. Their experience and responsibility are also key to general success. Flora Export S.G. Israel LTD. delivers agricultural products by air cargo services. It gives us an opportunity to reach literally any client in the world and provide him with produce of maximum freshness. This delivery method also allows us to offer products, that require specific transportation conditions, not available with standard ground delivery solutions. Because of unique climate, a huge range of fresh cut flowers, cut foliage, fresh herbs, fruits and vegetables are grown in Israel with great seasonal availability. Flora Export S.G. Israel LTD. can be one source for all your agricultural wholesale supply needs providing fresh products all year round. We purchase agricultural produce directly from Israeli growers. This allows our company to offer clients affordable prices and also negotiate special terms for various quantities and customers' requirements. Flora Export S.G. Israel LTD. is always open for strategic long-term business cooperation. We are working hard toward beneficial partnership with every client, offering professionalism and excellence, along with human approach. Farm fresh grower-direct flowers from following varieties: roses, gypso, globularia, trachelium, phlox, gerbera, gypsophila, astilbe, delphinium, anigozanthos, chrysanthemum, dianthus, godetia, green bell, moluccella, roses tea, hippeastrum, narcissus, veronica, antirrhinum, matricaria, kniphofia, curcuma, capsicum, ornithogalum, matthiola, freesia, gomphrena, agapanthus, ixia, strelitzia, roses small head, carthamus, gerbera standard, asclepias, anemone, wax flower, campanula, solidago, rose spray, gerbera mini, aconitum, banksia, gladiolus, lisianthus, sunflower, alstroemeria, kangaroo paw, eustoma, lilium, crocosmia, limonium, craspedia, ranunculus, celosia, echinops, iris, calla, eremurus, aster, grevillea, statice, liatris, desert yearning, bouvardia, paeonia, ozothamnus, tanacetum, leucospermum, cotton, prothea, achillea, tulip, etc. Fresh cut foliage of the following varieties: cotton, fern, kochia, murraya, grevillea, agonis, hypericum, leucadendron, cycas, adenanthos, prunus, eucalyptus, ruscus, myrica, hibiscus, bear grass, melaleuca, salix, pittosporum, cyperus, viburnum, photinia, myrsine, euphorbia, cyrtomium, philodendron, cocculus, rotem, palm, artichoke, rhamnus, steel grass, monstera, asparagus, aspidistra, myrtus, hedera, euonymus, aralia, croton, chondropetalum, acacia, etc. Fresh herbs and lettuce salads from leading Israeli growers: salicornia, spinach, peppermint, tarragon, marjoram, sorrel, lemon grass, bulls blood, tatsoi, chives, mizuna, basil red, red chard, baby mix salad, thyme, arugula, mint, rucola, parsley flat, oregano, savory, dill, sage, arugula deluxe, baby spring mix lettuce, basil, rosemary, lemongrass, basil green, romaine lettuce, lollo rosso lettuce, rucola deluxe, parsley curly, rucola baby, lemon balm, coriander, marjoram sweet, chervil, arugula baby, etc. Used as spices and seasoning herbs herb in recipes of healthy food cooking. All year long best price fresh herb and salad wholesaler supplies. Our produce can be delivered worldwide by air cargo carriers to the following international destinations: Philippines, China, Luxembourg, Costa Rica, Taiwan, Liechtenstein, Indonesia, Estonia, New Zealand, Laos, United Kingdom, Sri Lanka, Andorra, Tajikistan, Switzerland, Panama, Brazil, Ecuador, Romania, Hungary, Lithuania, Slovakia, Sweden, Australia, Canada, Azerbaijan, Bulgaria, Belarus, Norway, Belarus, Poland, United States, Germany, Kazakhstan, Moldova, Mexico, Italy, South Korea, Chile, Netherlands, Macedonia, Latvia, Colombia, Holland, Austria, Monaco, Ukraine, Czech Republic, Turkey, Bolivia, Argentina, Slovenia, Denmark, France, Kyrgyzstan, Croatia, Peru, Armenia, Gibraltar, UK, Finland, Nicaragua, Ukraine, South Africa, Turkmenistan, Japan, Thailand, Uruguay, Iceland, Vietnam, Republic of Ireland, CIS countries, Russia, Venezuela, Bosnia, Georgia, Greece, India, Hong Kong, Cyprus, Spain, Paraguay, Portugal, Belgium, Malta, Malaysia, USA, Uzbekistan, Kazakhstan, Singapore, etc.